I participated in an Influencer Activation on behalf of Mom Central Consulting for American Heritage Chocolate. I received product samples to facilitate my review and a promotional item as a thank you for participating. To say I’m a chocolate lover would really not accurately describe my adoration of chocolate. I do adore chocolate. I also love researching and learning. Especially when it’s something I already love, like chocolate. And learn is what I did while reading up on American Heritage Chocolate. Are you familiar with American Heritage Chocolate? I wasn’t. Now that I am, I can’t imagine using another cocoa in my chocolate desserts. American Heritage Chocolate is made with ingredients that were only available in the 1750’s. It has a slightly sweet and mildly spicy taste. 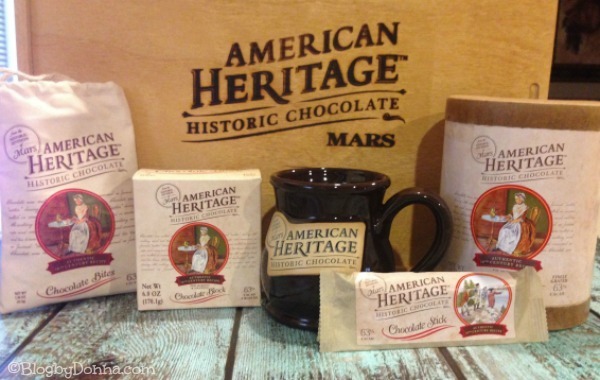 American Heritage Chocolate incorporates a blend of ingredients and spices from the Colonial times like, cinnamon, nutmeg, chili pepper, vanilla, anise, and orange. A combination of flavors that you won’t typically find in your ordinary grocery store. While I was reading about the history of chocolate I learned that the cocoa bean was used as currency by the Aztecs. This doesn’t surprise me. I can imagine how exotic the cocoa bean must have been. Another tidbit is that in 1735, Benjamin Franklin sold chocolate out of his printing shop in Philadelphia. And during World War II chocolate was rationed in Europe to 4 ounces per person per week. I sure hope chocolate is never rationed again, because that would be a travesty. Check out the chocolate timeline and learn about the history of chocolate for yourself… I bet you’ll learn something new. I did. 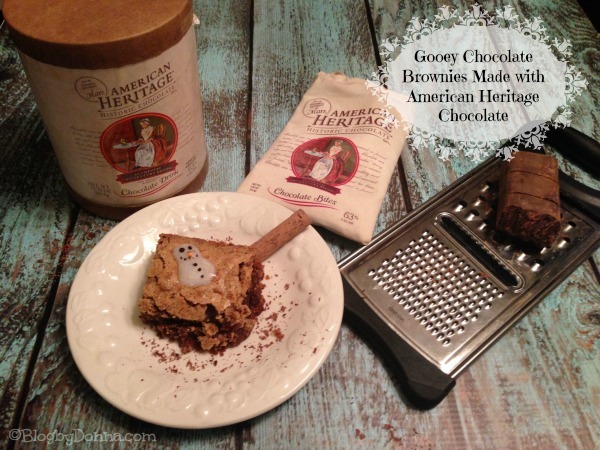 I couldn’t wait to try a recipe using the American Heritage Chocolate. I decided to try my son’s favorite Chocolate Gooey Brownies. They turned out beautifully — rich, decadent, with just a hint of spicy. My son said they were the best, yet. I decided to decorate a few of them with a snowman for the season. If you want to add your own snowmen just use Sparkle Gel Icing in white to make a snowman and the black gel for eyes, mouth, and buttons. Finally dab on a bit of orange gel icing for the nose. I’ll be making another batch (or two) during Christmas break! What’s your favorite chocolate dessert? I have never heard of this brand, but those brownies look absolutely scrumptious! These look so good! 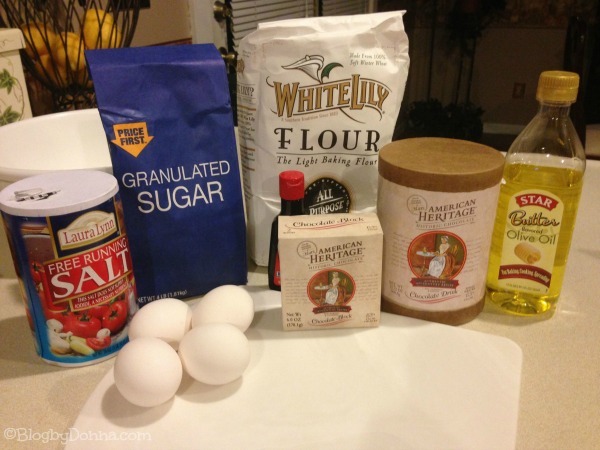 My daughter is crazy about brownies — we are going to have to give your recipe a try! CHOCOLATE!! These look amazing!!! Ohh I want some brownies now!! You had me at gooey chocolate! This recipe looks fantastic. Yum! I have never heard of American Heritage chocolate before. I can’t wait to try out their chocolates. Looks so yummy – and love the icing snowman tip! I love brownies. I have heard of this chocolate before but I sure do love a gooey brownie and I would want mine to be like that. OH YUM!! Those brownies look amazing! Yum! I have some of that chocolate and didn’t even think to make brownies with it. Gotta put it on my to-do list for this weekend. My husband was just looking for a brownie recipe. So glad I found one to share with him! Oh yum! Those brownies look delicious! Those look so yummy! My favorite chocolate dessert is anything chocolate! I love chocolate! These brownies are absolutely adorable! I love the snowman on top. Looks delicious and I love your snowman! Oh my, these look scrumptious. I am going to have to try the Heritage chocolate. Those brownies look so delicious! I especially love the little snowman, it makes them so festive! 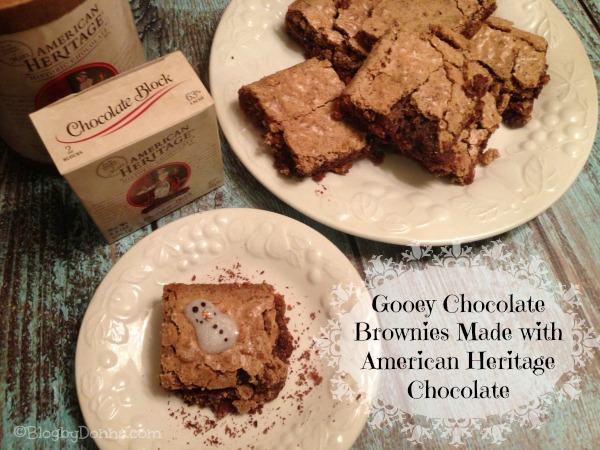 We really do like chocolate cookies around here – I love the snowman on the brownie, so cute! Well, those look totally delicious! The brownies look great and the snowman is adorable! I really like that they teach the history of chocolate in America. I love gooey brownies. These look delicious. You had me at chocolate! This recipe looks amazing. Oh yum these sound really good and I think I am gonna have to give them a try!!! I love the little snowman! The perfect finishing touch. I’m going to look for this brand! This recipe looks super delicious and I would really like to try a more traditional homestyle type of chocolate! These look so yummy! I love the little snowman detail. These brownies look incredible. I love the snowman. I adore brownies, nothing is better than a warm batch fresh from the oven. Those look delicious! These look delish. I love the little snowman on the brownie. THe brownies sound amazing! I don’t think I’ve ever seen that brand sold in Texas. Those brownie came out so beautifully! And, I bet they taste good, too! Brownies are always a good idea! Yum! I love homemade brownies. My sister and I were just talking about making some! Too cute and they look really good! I really like American Heritage Chocolate. 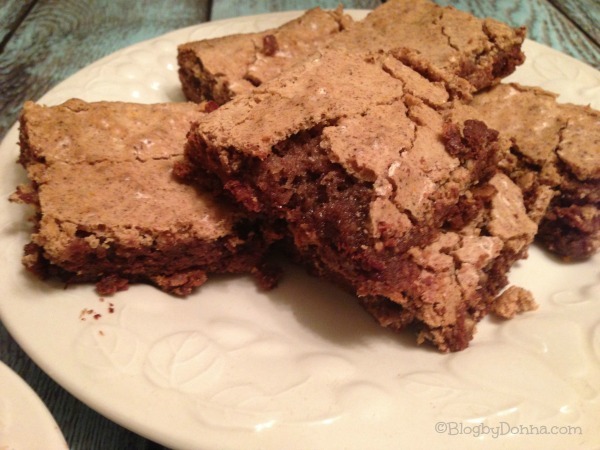 Brownies are one of my favorite desserts and especially gooey ones! I love the little snowman on top! I could go for those with a nice glass of cold milk! I can taste the ooey-gooey goodness now! I have never heard of it either! The brownies look amazing!! These look GREAT! I’ve never heard of that company before. You can go to their site to order it – http://www.americanheritagechocolate.com/. You can also check to see merchants that sell it. It looks like it’s only sold in D.C., New York, and Virginia right now. These look like delicious brownies. Yum! Ooooo CHOCOLAT These look DIVINE! YUMMMMMMM! Oh my… these look VERY dangerous and SO delicious! Love that little snowman on top…adorable. We tried to make these with your recipe and they came out great! Those sound amazing. I like the snowman on the brownie. Nice touch! I did no know anything about Heritage chocolate or its history. I always say “chocolate cheers” and this recipe reminds me of why I always will. Enjoy!